“Where are you from?” It’s almost a question I dread whenever I meet new people. See, my dad was in the military and that meant moving around a lot (already I can hear the collective “ooooh”). I’ve continued this trend by moving halfway across the country (twice) since moving out of their house. By my last count, I’ve lived in at least 10 states. In addition, my family was/is big into travelling; Meaning, I’ve had adventures in 40 different states (Maine, I’m coming for you next). experience a variety of local communities. One of the first things I do when I move is create a list of local restaurants and attractions to explore (and trust me, between Tennessee steakhouses, Alabama tailgating, San Diego “Burger” Joints, and the Wisconsin state fair, explore is definitely the right word). As a result, I tend to shy away from national chains if I can help it. I want to see what the local community has to offer. Showcase uniqueness / diversity / just plain weirdness - Not only do national chains have rigid brand standards to adhere to, but they are also usually risk averse. They let their personality shine - whether that be in a new product, in their store-front, or marketing. Shift Focus - Local businesses deal with a lot less red tape than national chains. As such, they provide new products and services at a quicker pace. They can capitalize on market voids and new demand by staying in tune with trends and customer preferences. Develop Partnerships - Being able to easily integrate in the community is a huge advantage. Not only does this build goodwill, but they also build strong professional networks. You begin to notice when owners are trading different ideas with each or when they develop dual beneficial cross promotions / referral programs. Stay Customer Focused - In general, small business owners are closer to customers than large corporation decision-makers. I can directly voice my problem to the owner (and they can immediately offer a solution and/or gain feedback). Overall, this helps provide higher levels of customer satisfaction. In general, I find that people want to support local businesses. Don't trust me? There have been plenty of studies done on the “Buy Local” movement that have revealed the same result. Here is an interesting study by the Institute for Local Self Reliance showed that businesses with a Buy Local initiative grew 3X as much than those without. Additionally, 59% of business owners said the Buy Local initiative has brought in new customers. State Your Differences As Positives - Point out your differences in a positive manner. Emphasize your connection to the community and how you develop your products (e.g. hand-crafted, locally sourced, serving your community since, etc.).. Be Flexible and Customer-Centric - As mentioned above, take advantage of certain trends. Allow yourself to adapt to the market. Create a special item that ride the coattails of a popular craze. 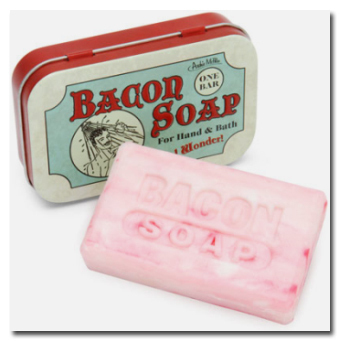 For example, think about how many companies started offering bacon this or bacon that or how many mustache products there are on the market now. Develop Genuine Connections With Customers - Create a rapport with your customers; you should know their likes and dislikes for every product and service. Bonus tip: Don’t forget about social media! It’s an easy way to stay connected and engage with customers. Give Back to the Local Community - Get involved in local events and politics. This will help build your network, get your brand noticed, and build goodwill. Taking immediate action is key here - remember that those large companies all have red-tape to go through. Don’t Forget the Web - One thing you can be certain of is that the large chains will have a quality website. Setting up a website will help create credibility and will give your customers more information about your product as well as potential to buy depending on your business. (Also, don't forget to make it mobile friendly!) Furthermore, beware of “showrooming”, where customers handle the product in your store and then buy online. Combat this by offering additional benefits and outstanding customer service. Build Your Curb Appeal - Big box retailers are exact that - big and boxy (and heck, I’ll say it, ugly). Use your storefront, vending table, mode of transportation, etc to create an appealing statement about your brand. It should be enticing enough to stop customers and get them to check you out. And again, don’t forget the web - do this with your homepage too. Come back later in the week to explore some more local tips!